Gooseneck lighting fixtures are an American favorite for good reason. They were original used in industrial settings because their wide shades allow for optimum lighting output while also providing a targeted beam that makes them ideally suited as task lighting. Fortunately for today's business owner, they're also super when used as sign lights. Their curvaceous arms allow them to curve and curl easily around signs and awnings, and then downward trajectory allow for a more focused light to illuminate your company name or logo for all to see. It's a stylish and economical way to increase visibility. Each of our lighting fixtures is constructed with only the highest levels of quality in mind. They're made from aluminum, which is equally durable and lightweight for easy installation. Additionally, their exteriors are powder coated, which prevents rusting and other weather damage, even in areas with inclement conditions. That means you'll have less rusting, corrosion, and other issues commonly caused by rain and direct sun. You'll also enjoy loads of customization options with these striking lighting fixtures. 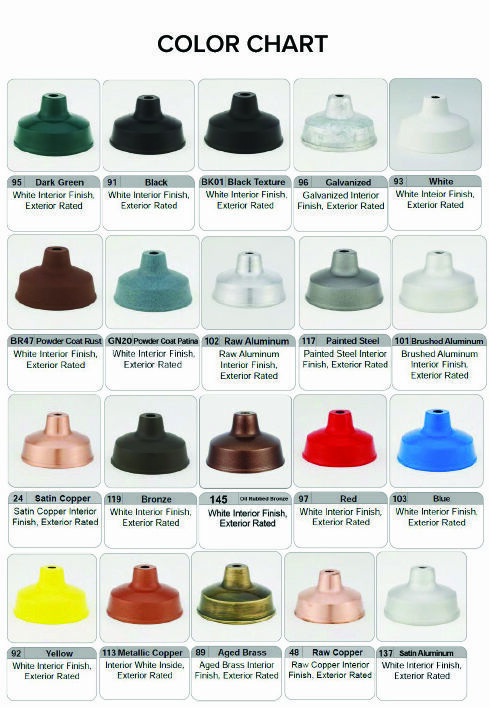 Choose from a wide assortment of shade sizes and shapes, arm bending options, and energy efficient lamp upgrades. There's also a range of colors from which to choose, many of which are offered at no additional charge to you. Just give us a call, and we'll even discuss fully tailored color matching and arm bending to accommodate your unique project.